When people visit a four or five star hotel, they have certain expectations. Not only do they expect your hotel to meet their basic needs, including providing somewhere comfortable to sleep, a clean room, and a safe overnight stay, but they also expect a certain experienced. Your hotel guests want to be pampered and doted on. They expect glamour and luxury. And it’s your job to make sure that their expectations are met. 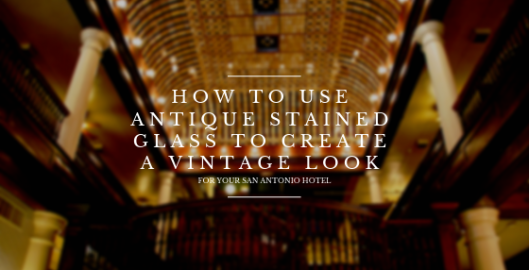 By creating a beautiful vintage look with antique stained glass, you can make your San Antonio hotel look stunning and sweep your guests off their feet. No one can exactly pinpoint where Mackintosh’s style came from but we do know that the 1890s were a decade of great learning and artistic expansion for him. Around this time he continued forward with his architectural training and traveled to Italy. While his style is very different than Italian works of the time, you can see a close attention to color and romantic Italian themes, like floral patterns in his work. However, one would characterize his work as that of progressively modern for his time and definitely with a spirit of romanticism. He was such an influential designer that one could call him the father of some of the most influential art deco style we see all around us on buildings and art today. The most commonly known and often imitated motifs by Charles Rennie Mackintosh are his signature roses. Their minimal but beautiful form, natural curves, and rich texture sets them apart, as well as his use of bold colors against clear glass. They are definitely one of the world’s most intriguing stained glass motifs and a picture of doing more with less. While no artist today can live up to Mackintosh’s signature style, we at Stained Glass San Antonio, offer marvelous stained glass windows in the style of Charles Mackintosh which is simply stunning. Our work will leave you with a sense of vintage nostalgia, as you see his work come to life in your home. Truly ahead of his time, Mackintosh’s designs are easy as relevant today as they were at the turn of the 20th century and beyond and will look amazing on any home old or new. 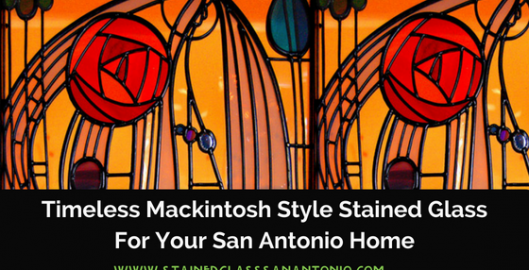 Contact us today to learn more about Mackintosh style glass to beautify your San Antonio home. 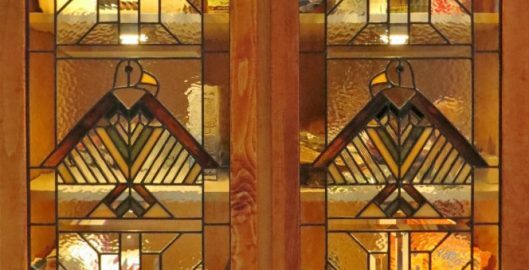 While there are many types of stained glass out there, there are few as famous as Frank Lloyd Wright’s prairie style designs. There’s something about the thick, clean lines of leading and warm earth tones that makes prairie style stained glass so unique and alluring. And it can also make a beautiful addition to your home. 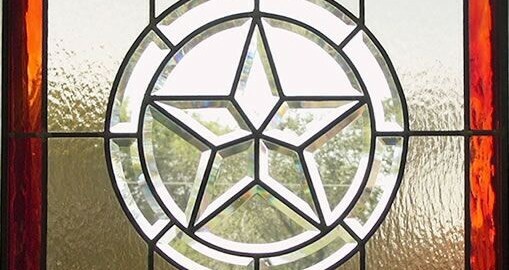 Below, we’ll discuss a few different ideas for including prairie style stained glass in your San Antonio home. Stained glass has long been associated with church decor. It is natural then, for people to assume that such decor is ubiquitous only to cathedrals, churches, synagogues and even mosques. However, it is also strongly linked to the victorian or craftsman eras of design. Nearly anyone who owns a home built in either of those time periods likely has one or more stained glass window in their house presently. 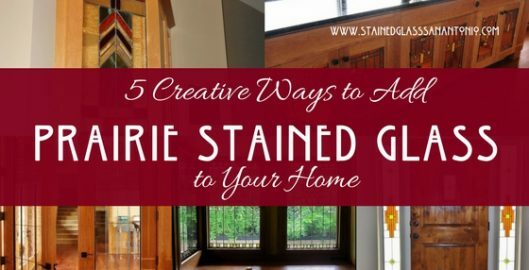 This is due to designers like Frank Lloyd Wright or Macintosh who, during the first half of the 20th century, began using stained glass in home decor. Its popularity has only risen since and is still in vogue today. At Stained Glass San Antonio, we are proud to continue on with the work of such icons as these, who had a deep and lasting impact on the stained glass still used today. From first glance, it is fairly obvious that stained glass is art. but did you know it is called a “practical art”? This is because it is an overwhelmingly versatile medium which can be tailored to suit nearly any design style or taste. 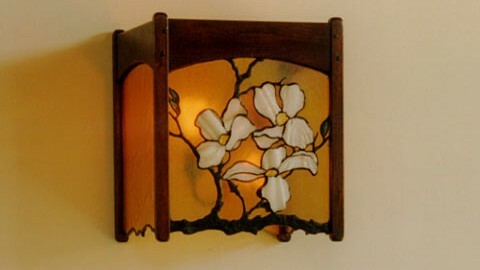 There are no restrictions as to which room stained glass can be used in either. Any room in a house: bathroom, kitchen, living room, the entryway is fair game. It is also good for unique applications like a fireplace screen, a stylish room divider or even on ceilings! 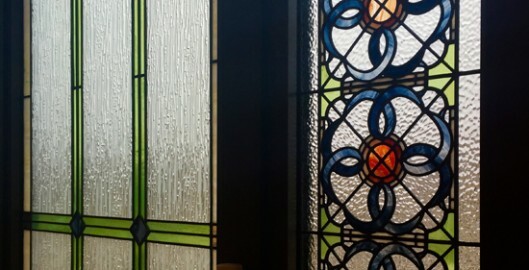 The wide range of uses of stained glass, both practical and artistic is very impressive. No matter where you put stained glass it will delight you, your family and guests for years to come, even taking center stage in any room it is in–and rightfully so. In fact, like we hear from many former clients, you will find reasons to fall in love with it all over again each and every day! 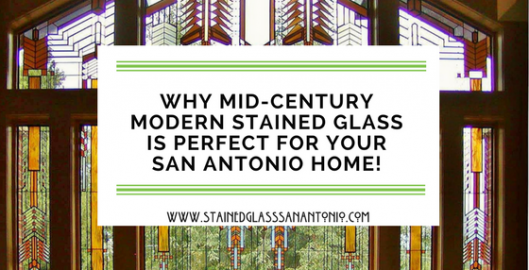 If you live in San Antonio or the surrounding area and are considering a stained glass window to brighten your decor, contact Stained Glass, San Antonio, today and let’s get going an heirloom quality piece of glass for you and your family to enjoy for generations to come! Are you renovating your bathroom? Have you recently moved into a new home? 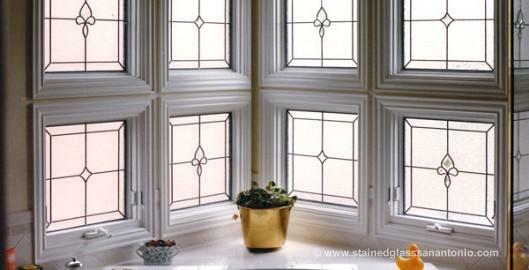 If so, you should consider adding bathroom stained glass to your San Antonio home. 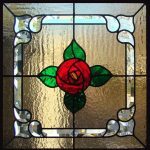 There are a lot of good reasons why stained glass is a good idea for bathroom and shower areas. Below we’ve outlined just some of benefits you can get from having this unique fixture in your home. 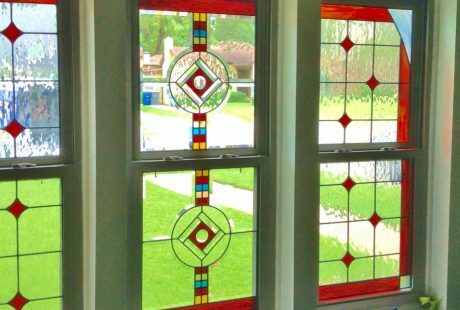 Greene and Greene stained glass in highly popular in many San Antonio craftsman homes and it’s easy to see why. Characterized by warm copper and sage colors and created with captivating nature theme designs, these windows are an attention-getter that make an attractive addition to any home. They look beautiful in kitchens, bathrooms, and entryways alike. Not to mention, they serve as an homage to some of the most brilliant architects to have ever existed in the United States. You already know that some of the most famous stained glass windows are found in ancient cathedrals, temples, and churches. But did you also know that San Antonio has some of the most beautiful religious stained glass in all of Texas? That’s why we’ve decided to write a series of articles dedicated to the Great Church Stained Glass of Texas. 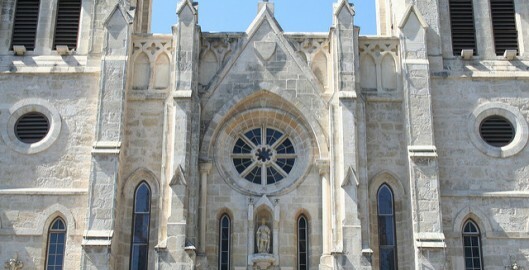 This is the first article of the series, which will be featuring the stained glass windows in San Antonio’s oldest church, The San Fernando Cathedral. Ya’ll have heard it before and as a Texan you know it to be true: everything is bigger in Texas. This saying could not be more true about our pride in Texas sports teams. And why shouldn’t we be, with so many spectacular teams to choose from: the Dallas Cowboys, the Houston Texans, The Longhorns and The San Antonio Spurs, just to name a few. There are well over 50 men’s and women’s sports team to choose from in the land of ours and proud we are of each and every one of them.